A vast library of motion graphics elements for Pc and Mac designed to add stylish high tech mographs as overlays to a great variety of projects. Accessible 24/7, you only download what you want when you want! Take a look at our tutorials 1, 2, 3 and 4 to see how by combining the different elements you can create stylish hi-tech looks. Read the NLE Ninja review here. This unique pack includes tons of motion graphic elements that the user can customise and combine at will. Compatible with both PC and Mac and applications like Premiere Pro, After Effects, Avid Media Composer, FCP 6/7 and Resolve, this pack represent a perfect alternative to our popular Hi-Tech plugins for FCPX. The user can resize, rotate, crop, modify opacity, use composite modes, apply effects and most importantly combine every single layer. 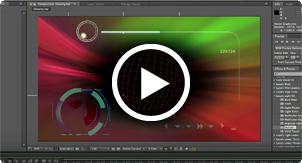 We recommend that Final Cut Pro X users try out our plug-in solution, please view the Hi-Tech Demo here. Unleash your creativity and stun your clients with Hi-Tech Overlays. This collection also includes High Tech Elements Vol. 1 located on the far right tab below. * This tutorial demonstrates how to access the clips and how they are used within an editing programme. Create stunning holographic graphics with ease, including 3D screens, objects and projections. The current date and time is Tue 23rd April 2019 :: 02:11:59 at Luca Visual FX Studio in London.